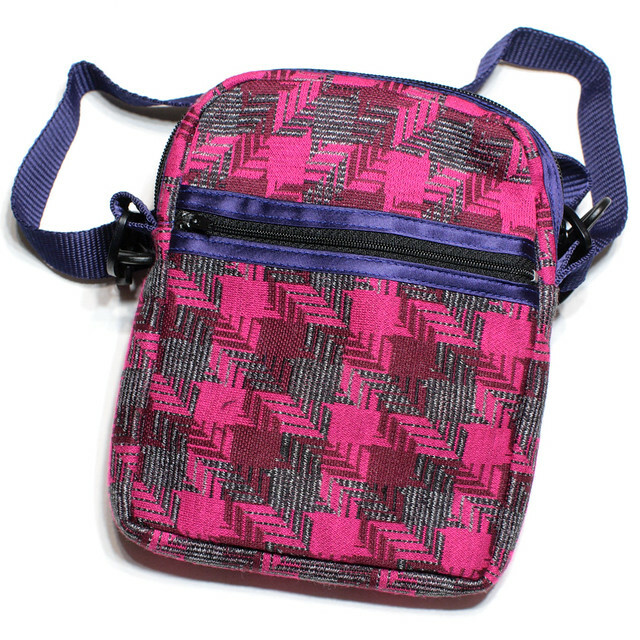 Turn heads with this shoulder bag made from vintage pink and maroon check knit fabric, with contrasting navy satin trim and a blue lining. The lined main zip compartment has plenty of room to carry your purse, phone and other essentials. 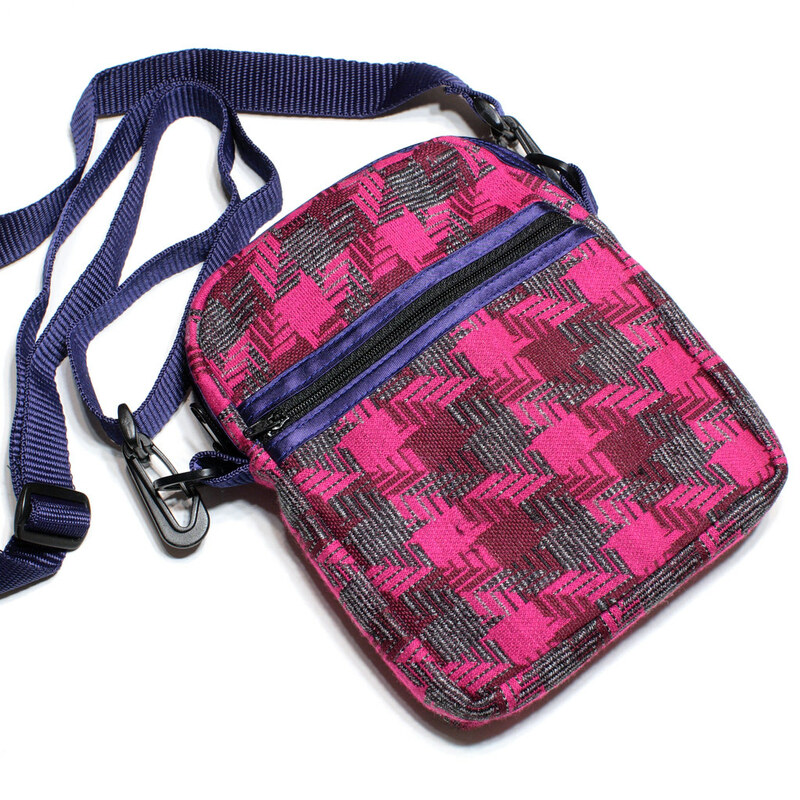 The front zip pocket perfect for keeping travel cards and other small things safe. 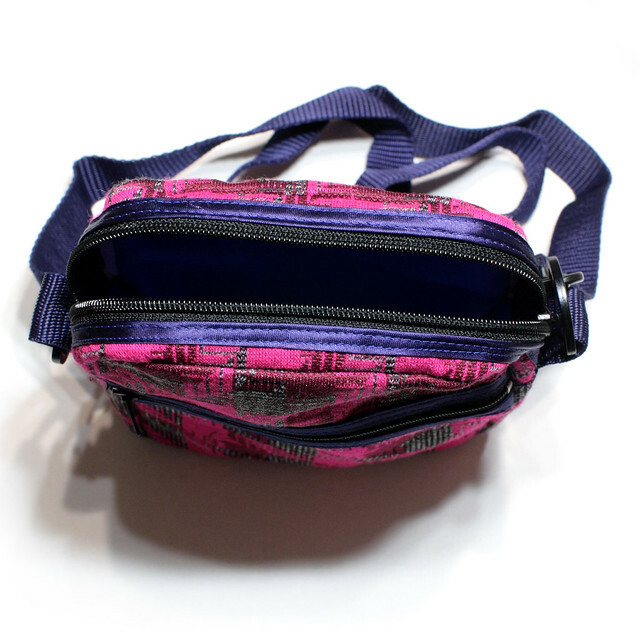 The durable, navy strap is fully adjustable and can be worn over your shoulder or around your waist. This handmade bag is a one-off, handmade by Suzie – the one you see pictured is the one you’ll receive. This is a handmade one-off.